Yup. 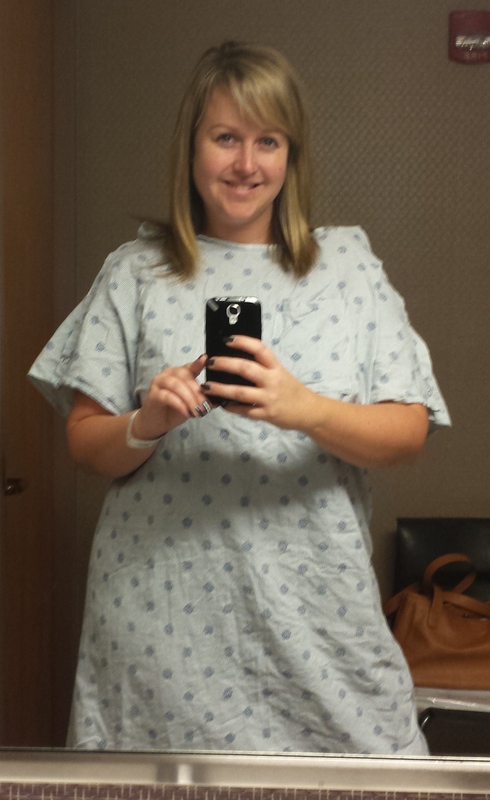 That’s a hospital gown selfie, moments before my endoscopy. My mother thinks I’m crazy. She finds it absurd that I talk about my health problems on social media. Some of her friends find it odd. I think most people in my life from my generation and younger don’t think a thing about it. I’m a writer. I write about my life. I’ve been spitting up blood for more than a year now, starting when I moved to Uganda. That’s a big part of my life, and I’m naturally going to write about it. I write about it because I want prayer. I write about it as a witness tool- to show that although I’m spitting up blood, although we don’t have answers, I still have faith that God is in control. I also write about it because I hope that maybe someone somewhere will stumble across this post and have an answer. There are many reasons I write about it. I love all the prayers and love people are sending me from around the globe, and I think it’s so sweet when people tell me they hope I feel better. But that’s the weird thing. Overall, I FEEL fine. There hasn’t been pain associated with the blood. That’s certainly been a blessing through all of this. While it made sense that the bleeding was associated with the half a dozen sinus infections I had during my time in Uganda, apparently they were unrelated. One source of frustration throughout this whole ordeal is people who think they are smarter than doctors and tell me, “It’s probably just (insert random idea here).” I’m sorry, but if I’ve seen almost a dozen doctors over the past year and not one of them has had an answer, what makes you think you’ve got a medical degree, can diagnose me, and tell me I’m fine? And there’s a difference between telling me everything will be OK (I believe it will), and telling me that I’m worried for nothing. Not one doctor has said, “It’s nothing. Don’t worry about it.” They have each been concerned. It’s been especially tough to return to the US and not get answers. I expected to see a doctor, for the doctor to hear my story, and then say, “Oh, well that sounds like (insert health ailment here).” But not one single doctor has said that. Each doctor and specialist has heard I’ve been spitting up blood for more than a year and have no other symptoms, and each doctor and specialist has given me a blank look. They have no clue. 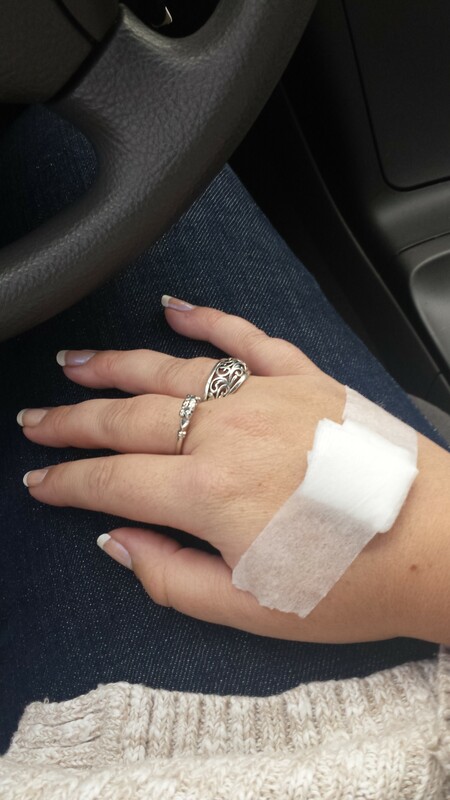 Really tired of having blood drawn! So basically, I’ve been a lab rat. They keep taking blood (what else could possibly be left to test in my blood at this point?! ), I’ve had a nasal endoscopy, an upper and lower GI endoscopy, two CT scans, two chest x-rays, an esophagram barium swallow, and allergy testing, and apparently… I’m fine. At my endoscopy on Monday they removed a gastric polyp, but they don’t believe that’s the source of bleeding. I’ve been referred to a pulmonologist, who I will meet with tomorrow to schedule a bronchoscopy and possible chest MRI. Or at least that’s how it feels. I know it will end eventually. I know that either we’ll reach a conclusion, or I’ll someday stop spitting up blood every month. The bright spot to all of this is that I haven’t “felt” sick. Besides the sick feeling I get in my stomach after each procedure when they say, “We found nothing,” I feel fine. If I wake up and spit up blood, I do so, and then I get ready for work and go about my day. Even on days I spit up blood in the middle of the day, it doesn’t impact that day’s activities. I am grateful for the loving support of family and friends as I work with doctors to find the cause and source of bleeding. I’ve never been a smoker, so to think this is in my lungs is really discerning. But, through it all, I still believe God is good. Whether it’s a parasite, some sort of disease, or simply a burst blood vessel, it does not change my faith. If anything, it makes it stronger. I’m so sorry to hear that, Jerry! I wish I had an answer for you, but the truth is, I went through extensive testing for another two months before insisting that they stop testing me for awhile. And well, eventually I stopped spitting up blood. So, I spit up blood for a year and a half, and then out of nowhere it just stopped, and I haven’t spit up blood in almost two years now! And as frustrating as it is, we never did find out why. 😦 I pray you find some answers soon and that you heal soon! I change my doctor .. He gave me some droops .. After using that blood just vanished .. He told me that blood was coming from my nose .. And thanks for your reply.. I really appreciate that ..